Placemaking is a people-centered approach to the planning, design and management of public spaces. Put simply, it involves looking at, listening to, and asking questions of the people who live, work and play in a particular space, to discover needs and aspirations. This information is then used to create a common vision for that place. The vision can evolve quickly into an implementation strategy, beginning with small-scale, do-able improvements that can immediately bring benefits to public spaces and the people who use them. 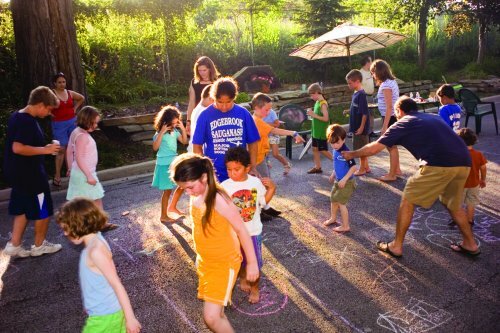 Placemaking can be used to improve all of the spaces that comprise the gathering places within a community—its streets, sidewalks, parks, buildings, and other public spaces—so they invite greater interaction between people and foster healthier, more social, and economically viable communities. But Placemaking is not just the act of building or fixing up a space; it is a process that fosters the creation of vital public destinations—the kind of places where people feel a strong stake in their communities and commitment to making things better. Placemaking capitalizes on a local community’s assets, inspiration and potential, creating good public spaces that pro mote people’s health, happiness, and economic well-being. As a PPS survey of its members suggests, this process is essential—even sacred—to people who care about the places in their lives. 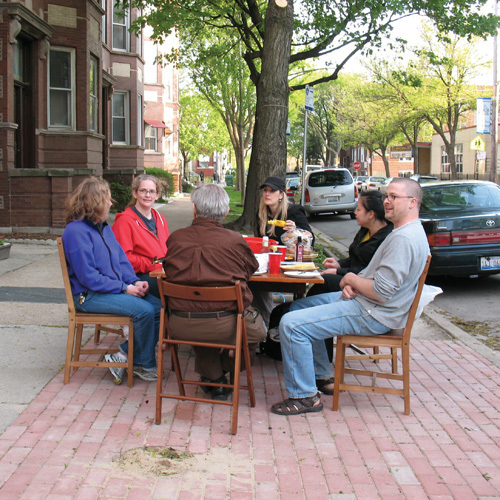 To find out more about Placemaking news, events and installations in Chicagoland check out MPC's Placemaking Chicago Projects page. Placemaking is the art of creating public "places of the soul" that uplift and help us connect to each other.